Photos are courtesy of the Texas Tranportation Institute. Photos taken by Jim Lyle, TTI, in June 2001. (high resolution 239k) A. 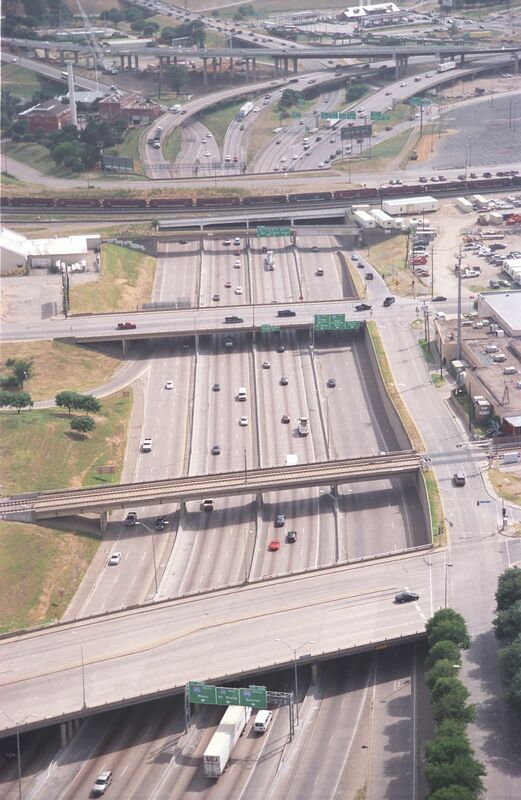 Interstate 30 south of downtown. "The Canyon". Photo taken June 2001. (high resolution 208k) B. Interstate 30/35E interchange south of downtown - part of the mixmaster. 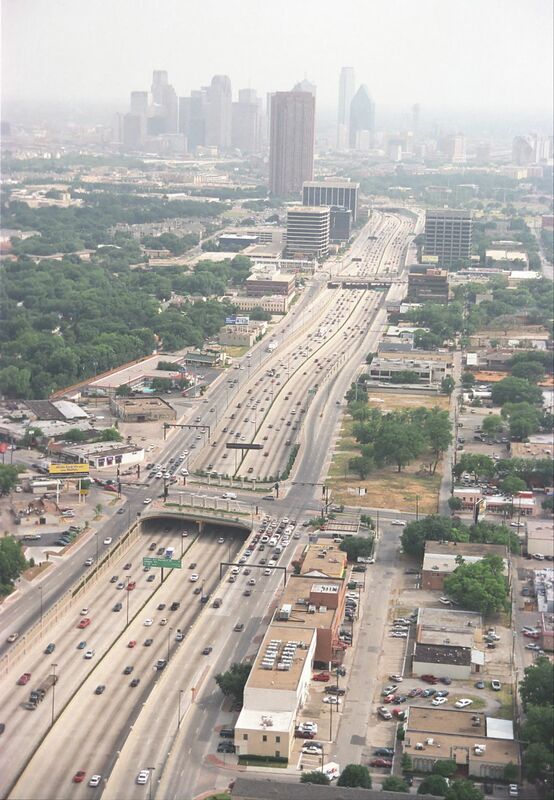 Photo taken June 2001. 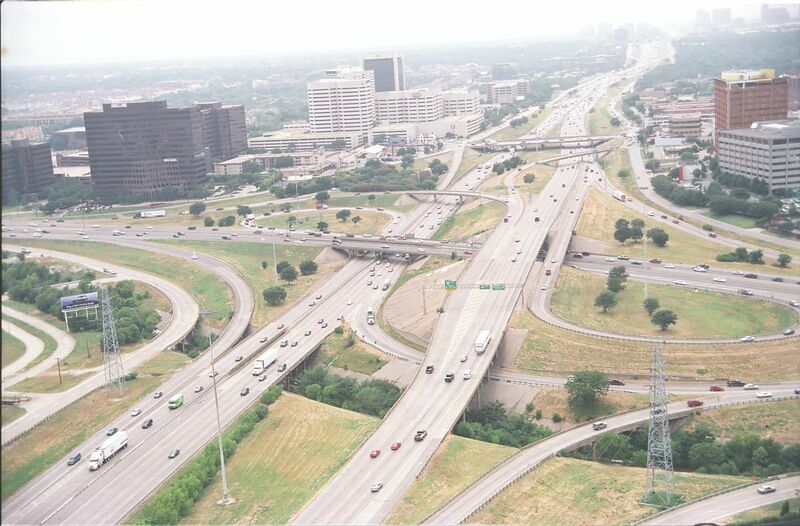 (high resolution 239k) C. US 75, central expressway, north of downtown looking southward. Photo taken June 2001. 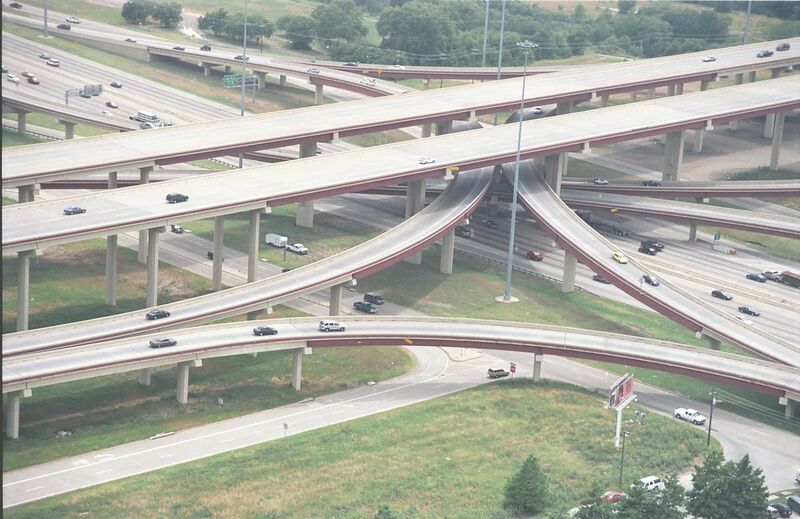 (high resolution 196k) D. IH635-IH-35E interchange. Plans for the IH-635 upgrade include a total rebuilt of this interchange. However, don't look for that to happen until between 2010 and 2020. Photo taken June 2001. 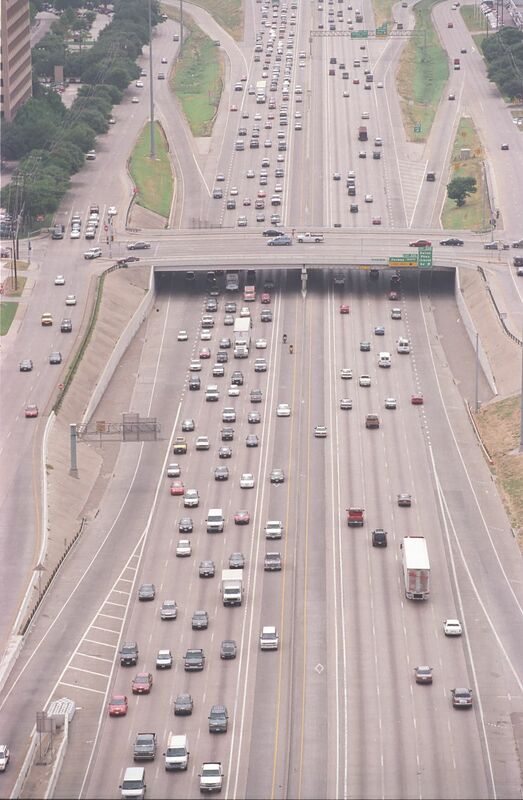 (high resolution 211k) E. Interstate 635 at Montfort, just east of the Dallas North Tollway. Photo taken June 2001. 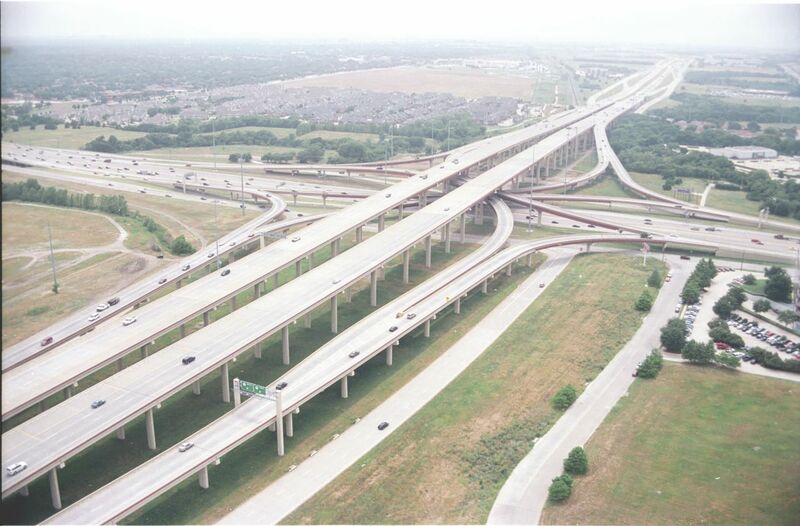 (high resolution 206k) F. IH635-US 75 interchange, looking west. 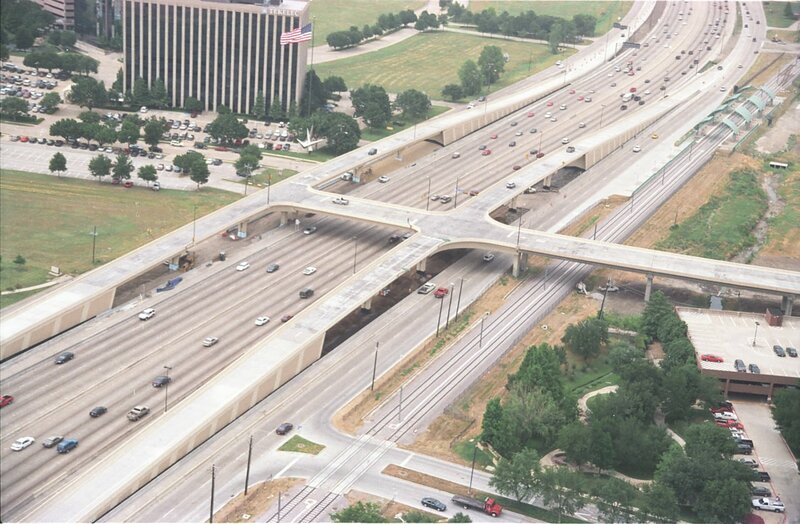 This is the location of the Texas High Five mega-interchange, which is now under construction. Photo taken June 2001. (high resolution 241k) G. US 75 in Richardson, just south of 190, looking north. This overpass structure is new, and the new light rail line can be seen to the right of the freeway. Photo taken June 2001. (high resolution 168k) H. The interchange at 190 (Bush Turnpike) and US 75, completed around 1996. Photo taken June 2001. (high resolution 194k) I. 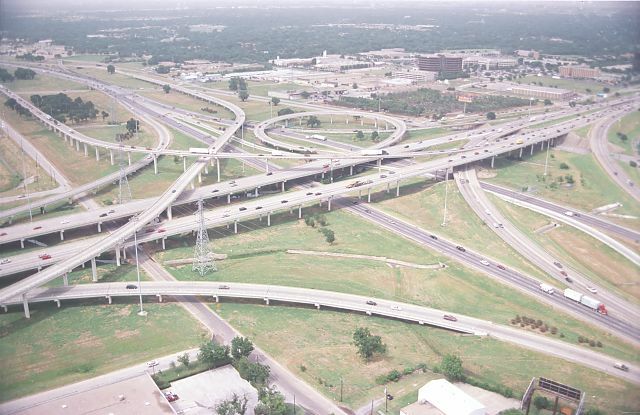 The interchange at 190 (Bush Turnpike) and US 75, completed around 1996. 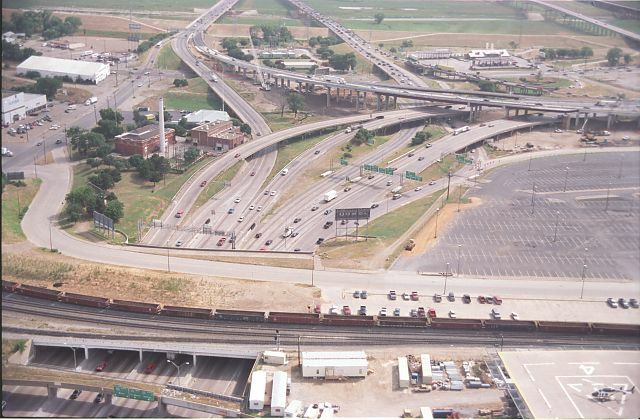 Photo taken June 2001.